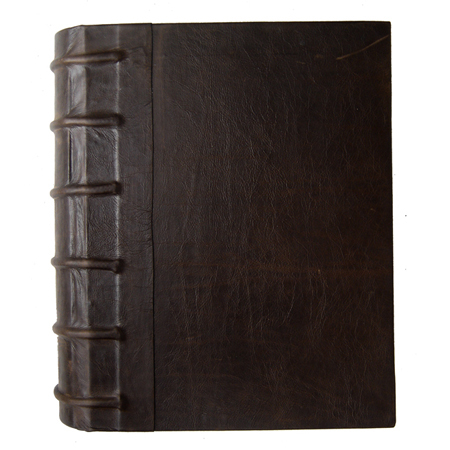 Save $100.00 on this Potions Formulary Grimoire. Only One Available at this price. 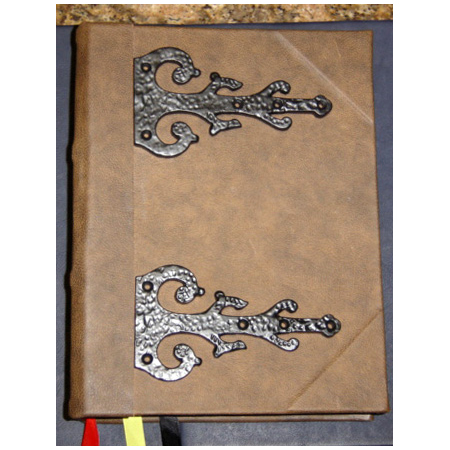 This Potions Formulary Grimoire is the only one available on sale now. We made it in a different color leather than the one we were supposed to use. Therefore we decided to drop a price on it. And sell it to someone who will make a home for this wonderful magic book. Magic Potions Formulary Grimoire – Only One Available. In this beautiful and one of a kind Magic Potions Formulary Grimoire, we will reveal all the previously hidden secrets of brewing powerful magic potions. Time-tested to perfection these potion formulas can bring you whatever your heart desires. 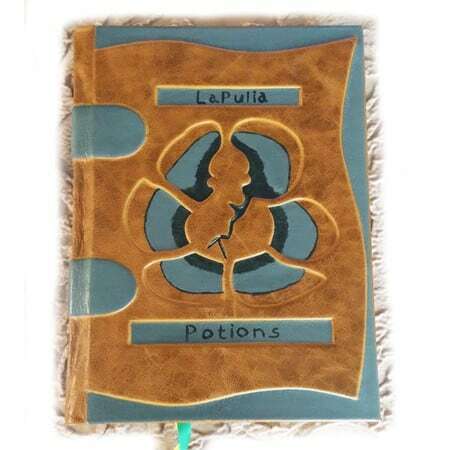 Magically written and illustrated in LaPulia Studio’s unique style, this powerful Book of Potions will take its rightful place in your Magic Library. Potions Formulary Grimoire contains 300 acid-free French parchment pages printed on a high-quality commercial laser printer. 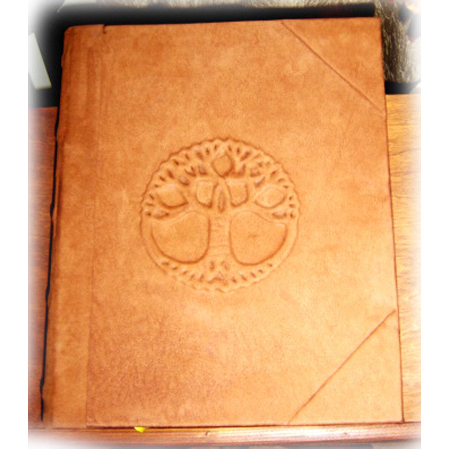 Your magical Book of Shadows or Grimoire crafted following the oldest witchcraft traditions. 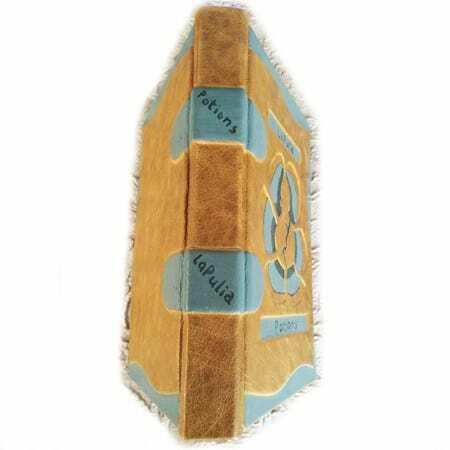 LaPulia Book of Shadows only uses brand new, pristine and virgin clean materials of the highest quality. Also, before use, all of the materials used to create your book undergo a special cleansing ceremony to remove any negative energy and prepare them for use in production. 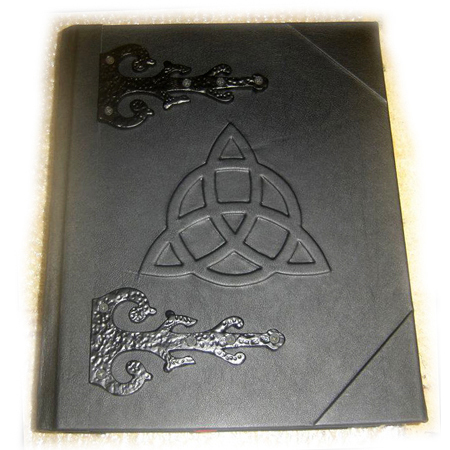 Lastly, every single Book of Shadows and Grimoire magically blessed before it shipped to you.